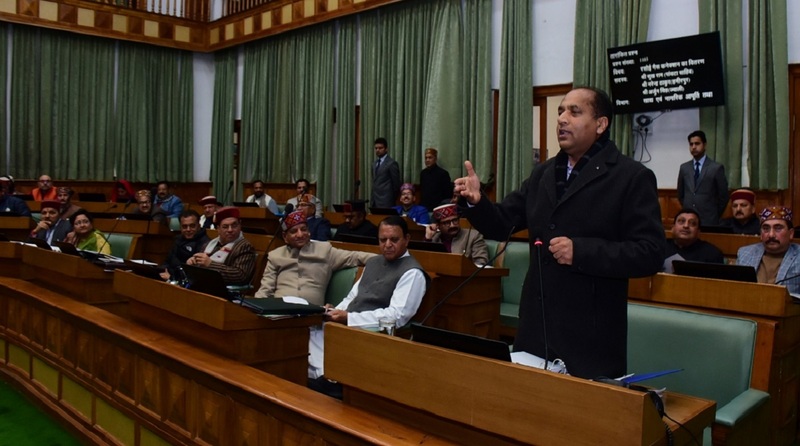 The Himachal Pradesh government has reduced the bank guarantee for doctors interested in pursuing MD/MS degree or diploma from Rs 10 lakh to Rs 5 lakh, Chief Minister Jai Ram Thakur said on Wednesday. Thakur said the decision was taken in the cabinet meeting held here last evening in which the government decided to amend the PG policy on tendering bank guarantee. The MBBS doctors in Himachal Pradesh, who wanted to pursue higher courses like MD/MS degree or diploma, super speciality DM/MCH courses and other courses, had to submit a bank guarantee to dissuade them from joining private hospitals or shifting their services to other states. Thakur intervened in the debate on a question asked by Dalhousie MLA Asha Kumari regarding chemotherapy facilities on the third day of the ongoing budget session and said the Cabinet had decided to reduce the bank guarantee. The decision seems to have been taken in view of the protests by resident doctors in state medical colleges against the bank guarantee policy for long. The chief minister assured that the government is taking adequate steps to curb doctors’ shortage in the state and justified the policy by saying that many times doctors violate the set norms. So far, 35 cases of doctors serving in private hospitals or outside states without informing the government had come to the notice and the government is mulling action against them for breaching norms. Earlier, Health Minister Vipin Singh Parmar, while replying to Asha Kumari’s question, said adequate steps are being taken for strengthening treatment facilities for cancer patients in the state. Parmar said Tertiary Care Centre would be set up at Indira Gandhi Medical College, Shimla (IGMC) and a five-storey building would be constructed besides the existing Regional Cancer Centre. All the formalities regarding the setting up of Tertiary Care Centre have been completed and the documents have now been submitted to National Green Tribunal (NGT) for seeking permission for the construction of the building as it falls in Core Area. “We are hopeful of getting permission for construction of building for the Tertiary Care Centre at IGMC soon,” he added. The NGT had imposed a ban on the construction of multi-storey buildings in core zone in the state capital Shimla. Parmar said a sum of Rs 16.52 crore has been sanctioned for the cancer care centre while a total of Rs 45 crore has been sanctioned for the project in 90:10 ratio by the Central government. Nurpur MLA, Rakesh Pathania, raised the issue of lack of cancer care and chemotherapy facilities at Dr Rajendra Prasad Government Medical College, Tanda in Kangra district and asked as to when the patients of Kangra district would be able to avail the benefits of these facilities. In reply, the health minister said all the systems and facilities are in place at Tanda Medical College to take care of cancer patients. He said at present, chemotherapy facilities are being provided to patients at 10 places across the state and the government is committed to providing quality cancer treatment to patients.